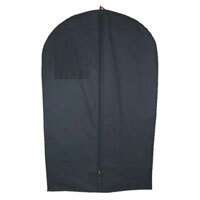 We offer Suit Covers that are manufactured using quality fabrics. Widely demanded in star hotels, ready made clothing stores and in laundry shop, the range of suit covers is stitched by our competent workers by consuming finest grade of material and the leading edge technology. According to the quality standards, we are giving this complete range of suit covers in different modified options at nominal rates.